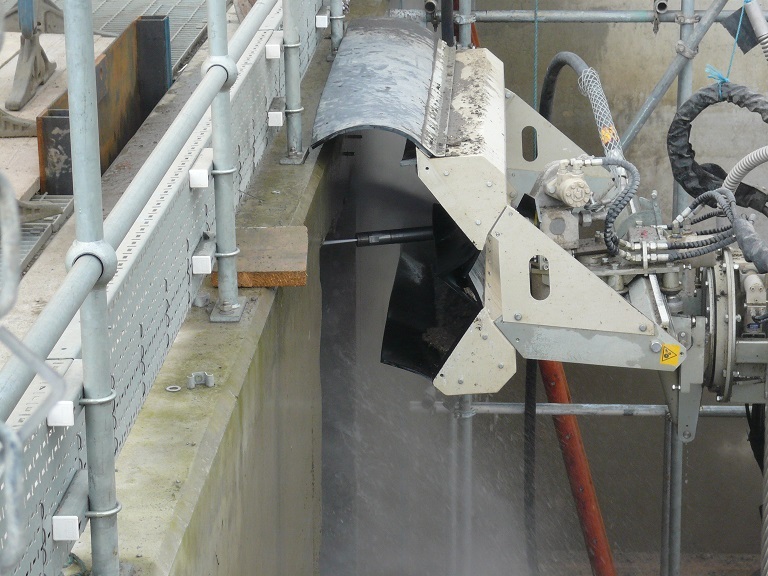 Robotic hydrodemolition involves systematically targeting the desired area of concrete with high-pressure water jets. 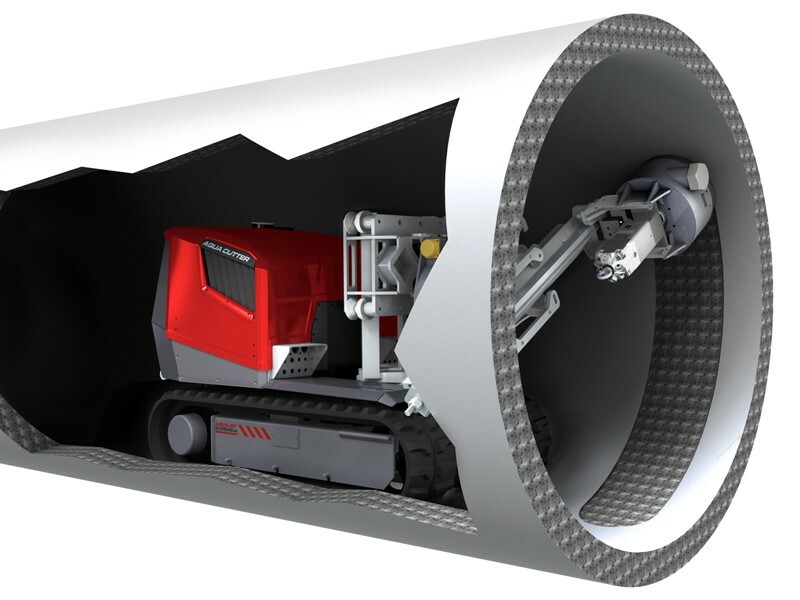 These robots can withstand extremely high reaction forces, meaning that they make use of much larger pumps, saving fuel and enabling you to work in a more eco-friendly manner. Suitable for larger tasks as it allows fast, safe and thorough results. Consistent as the robots can be programmed to carry out the exact same work as many times as required, so an even depth can be achieved in all the cuts within a particular time frame. Speed and efficiency of the work is dramatically increased compared to manual techniques contributing towards accurate planning and project management. Robotic hydrodemolition is a safer way of working as there is no physical strain or danger to the operator, unlike with handheld hydrodemolition. The robot work head is completely covered so there is no danger posed by flying debris. No harm done to the surrounding areas, making it perfect for sensitive structures where previously a slow and inefficient hand chisel would have been used. If you’re in search of a company that can carry out robotic hydrodemolition to the highest standards, then make Hydroblast your first choice. We are one of the UK’s leading companies offering this service and can provide you with outstanding work. Call us on 01677 428 786, email us at [email protected] or fill out the contact form below. We look forward to hearing from you. Training is essential to make sure that staff understand exactly how to programme and utilise the robot, and how to maintain it all to keep everything in excellent condition. This equipment offers so much potential in terms of different angles and positions, so with the right training, you can produce a great standard of work. To view the robotic hydrodemolition equipment which we supply please click here. Alternatively, you can subcontract the work to a specialist company who can hire out both the apparatus and the operators. This will save money, time and hassle by having experts carrying out the work for you, not to mention the brilliant results you will see.